This year we continue to move towards the whole parts. A graphic organizer of what we are doing is below. Last year our main focus was on LIteracy. Because of that focus, our SBAC scores were really good. 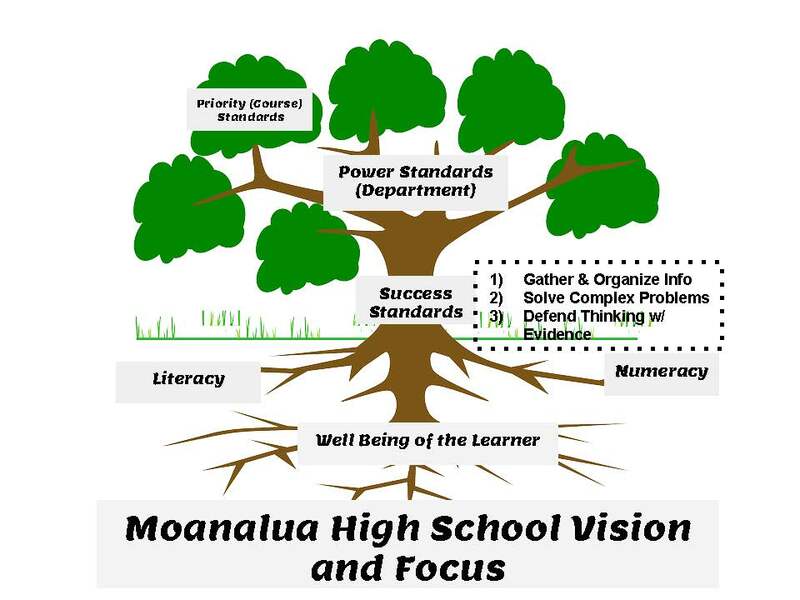 Now, we move to WELL BEING of MOANALUA (the Learner - Teacher and Student). Also, we will be working to FOCUS our standards by identifying both the POWER (Department) Standards in our Department and PRIORITY (Content/Course) Standards in our Data Teams.